Indian Independence Day - Idea Round up!!! Here is a round up of ideas I found on the web which I would love to try with Putti. 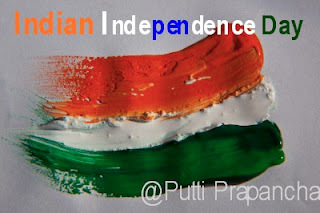 Independence Day of India is celebrated on Fifteenth of August to commemorate its independence from British rule in 1947. The day is a national holiday in India. All over the country, flag-hoisting ceremonies are conducted. The main event takes place in New Delhi, the capital city of India, where the Prime Minister hoists the national flag at the Red Fort. The national flag of India is a horizontal rectangular tricolour of saffron, white and green; with the Ashoka Chakra, a 24-spoke wheel, in navy blue at its centre. सत्यमेव जयते Satyameva Jayate (sanskrit) meaning Truth alone triumphs is our National motto. 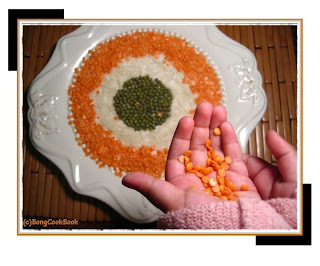 Learn more about National symbols of India here. 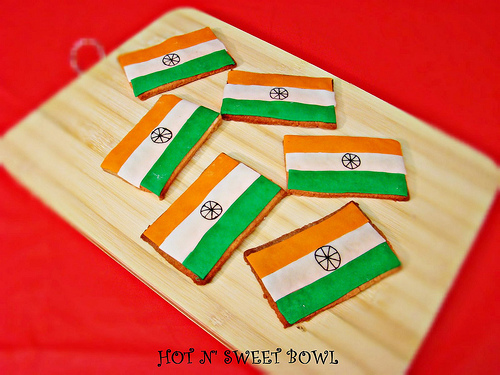 Smitha of Little Food Junction made this Tricolor Platter for little one!! 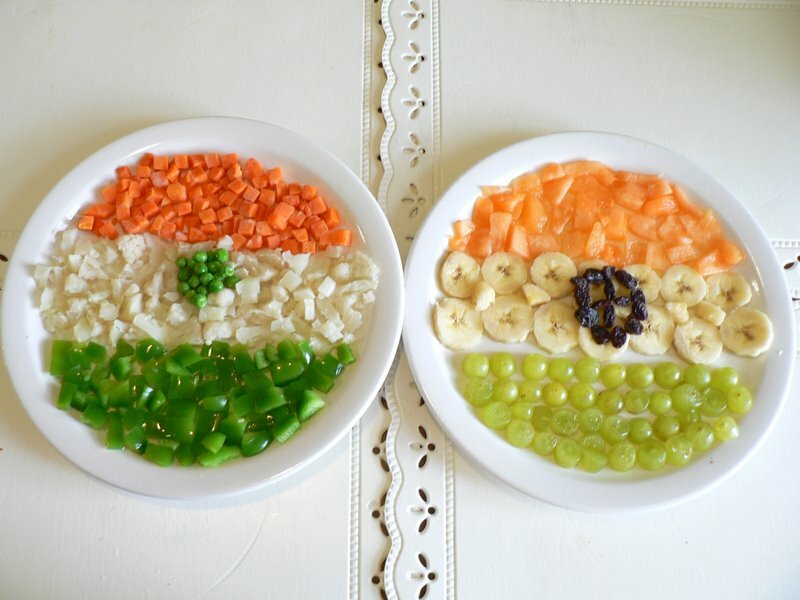 Pooja of Creative Ideas had a great round up of Tricolour Food with over 25 different dishes, check it out! 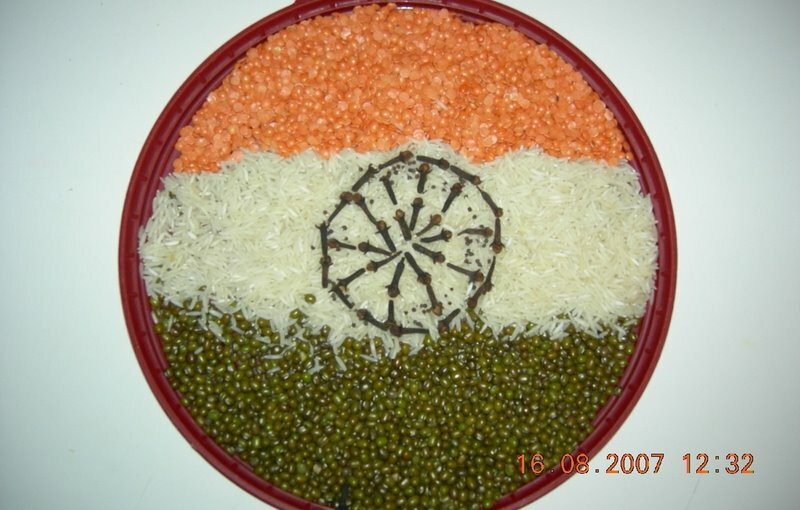 Indira of Mahanandi Blog had a Food parade for Independence day with a huge number of participants!! 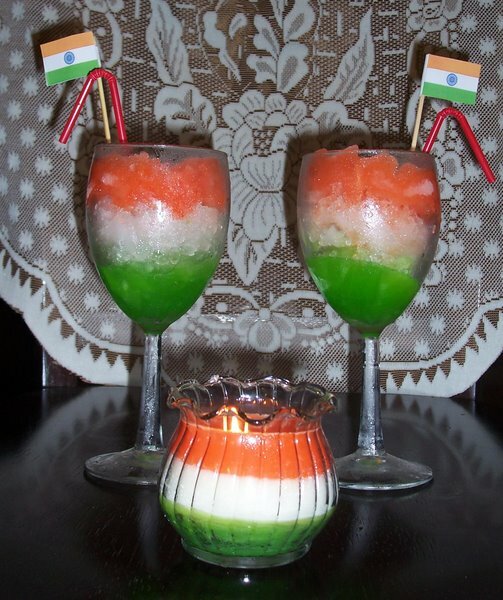 Indian Homemakers in USA a community in Orkut had celebrated Azad Divas couple of years ago and these are some of the tricolor entries. 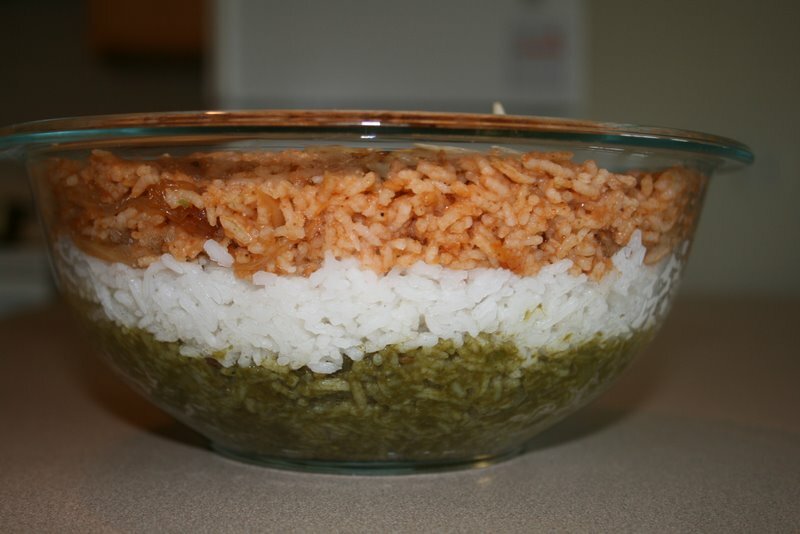 These are not from a blog, but if you visit the community from orkut you get details on how these were made. Love this 'Freedom from Disease' veggie and fruit salad entry from Vidya!! All you mommy bloggers feel free to use these ideas, get inspired and flaunt a Tri- Colour art with your little ones or make anything to depict and represent Mother India for this Independence Day and share with us in comments!! On the occasion of Independence Day, I invite all my Indian friends to show your patriotic zeal in your food, artwork, photography, dress, on your hands etc. 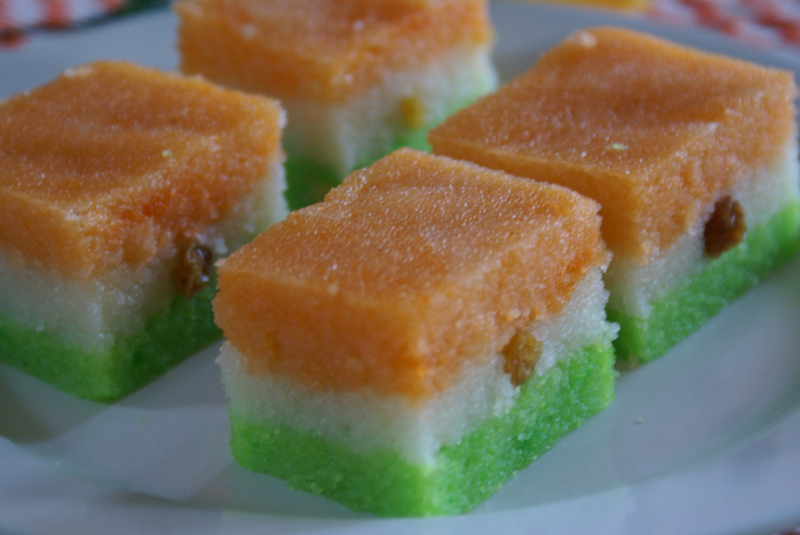 Let’s stand together and flaunt the vibrant tri color and feel independent and integrated. Many of the ideas shared for the 4th of July Inspirations can also be made in saffron, green and white to create our 'Triranga'. To all my non-Indian friends, I know many of you have studied or visited India virtually as part of your Geography lessons. Please feel free to share your 'India Study' or get inspired to do one!! And to my non blogging friends, please email me your photos or feel free to share them on my Facebook wall. 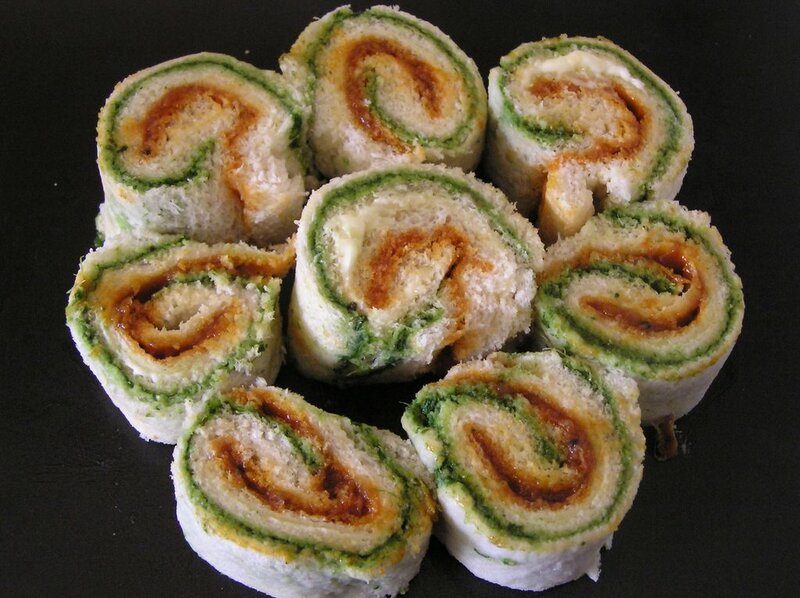 Follow us via our Facebook page to receive updates on all the fun ideas we share! You can also follow us on Pinterest, Twitter, or subscribe via RSS. 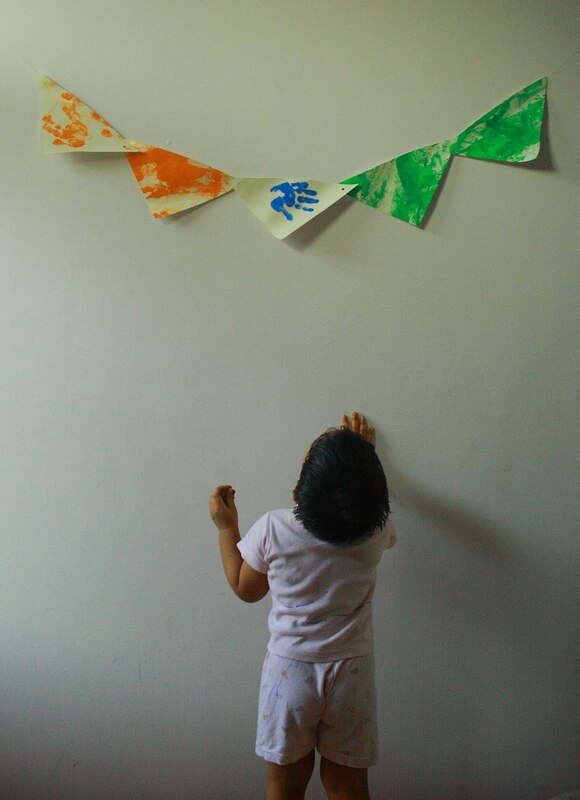 Pari also made a life-size self portrait using the tricolour theme to design her dress. I have linked it up below. Lovely round up of crafts and a great way to celebrate India Day! 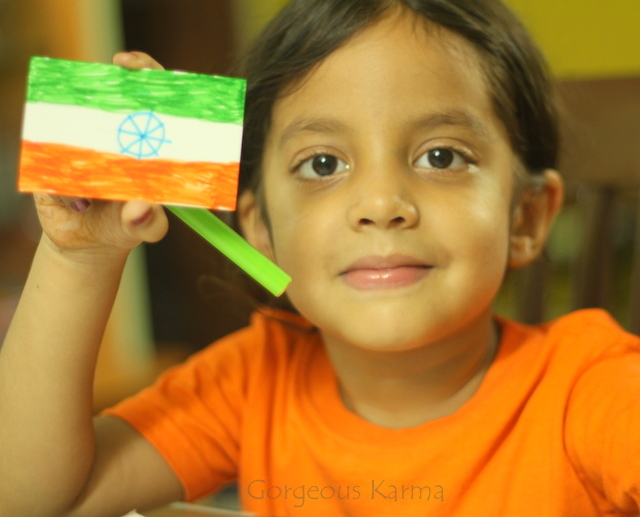 Nice collection of India flag crafts! 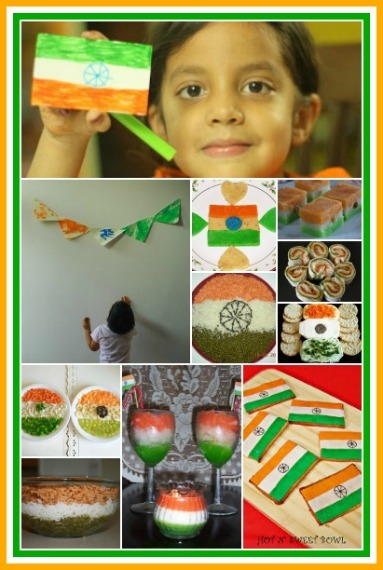 That's a brilliant idea to celebrate India day with crafts! Thank you very much. This round up is so exciting and interesting. I have been doing my homework on it already. will link up soon. 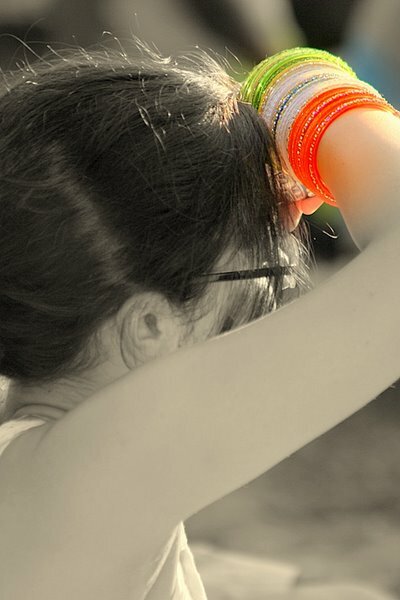 have nice vacation in India putti. I have come to know about your blog, Its really feels proud to see a good mother like you. I could not stop appreciating you for your creative art work. Really wonderful. I work with a pre-school in India and they are great help to us. Thank you so much.